You haven’t really been to Whistler unless you sampled a beer from the Whistler Brewing Co. Meet Matt Dean, brewmaster behind the family-owned business. Coast Mountain Brewing is the newest of Whistler's breweries, winning Best in Fest win at this year's Whistler Village Beer Festival. Meet Kevin Winter, the brewmaster. 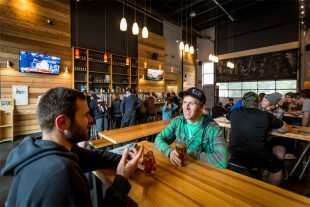 Andrew Mitchell speaks to Derrick Franche of The BrewHouse in the first of three blogs featuring Whistler's local breweries. By the time fall rolls around, we’re done with festivals…or are we? Here’s a list of reasons why the Whistler Village Beer Festival is best. Here's to beer! All kinds of liquid gold will be flowing freely at these Cornucopia dinners, parties, tastings, seminars and more. Guest author Richard Campbell of 10Hikes.com has the perfect Coast Mountain autumn pairing recommendation - hiking & beer. Just in time for patio season, The Insider finds out what goes into the making of the perfect après beer. Beer, Boards and Mountains. 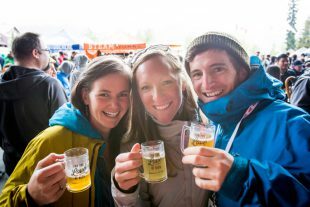 Whistler Village Beer Festival and Whistler Longboard Fest kickstart autumn in Whistler. 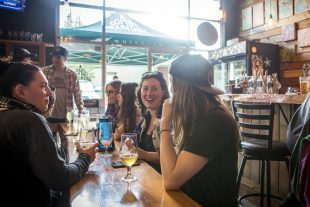 In just its second year the Whistler Village Beer Festival has already doubled in size and features craft breweries from around the world. On September 11-14, 2014 Whistler will be serving up over 200 craft beers to thousands of beer connoisseur and lovers of hops, barley, and all the good times brewing. 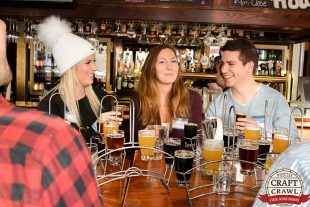 Whistler Village Beer Festival – Bottoms Up! The first ever Whistler Village Beer Festival hits town September 14th, 2013. Flavour and fun are guaranteed but with over 45 breweries in attendance and 6 special evening events beer enthusiasts will have to think about endurance as well. Bottoms up!